Breastfeeding your baby helps baby health, baby emotional security, and baby brain strength and development. Some of that benefit was not clearly understood until relatively recently. Doctors have known for years that breastfeeding is one of the healthiest things that can be done for a baby. Breast milk is the perfect blend of ingredients for a baby to thrive. An extremely insightful social scientist who pointed out all of the advantages that well to do families can offer to their children pointed out that the only time when even the lowest income child had the same advantages and the same benefits as the child from the very richest families was during the time when a low income child was breast fed. We have understood the most basic biological and emotional benefits of breastfeeding for a long time. All of the best care systems and all of the most competent caregivers have been strongly encouraging all mothers to breastfeed their children for decades now. That advice from those care teams and those experts has been based on old but accurate information about the pure physical benefit that breast milk provides to each child. We now know that those are not the only benefits to babies that come from breastfeeding a child. Several studies have now shown that the children who have been breastfed also tend to be better learners and tend to have, on average, stronger brains. That is new information and it is anchored in the new brain science that we are learning from current research about the impact of direct experience on each child’s brain in those first weeks, months and years of life. The newest additional science that we now know about the neuron development advantages to children that happen through direct parent interaction in the first weeks and months of life have now added important new information about the benefits of breastfeeding to children. Check out The First Three Months section of this website and the First Three Months addendum to the Three Key Year book for information about the importance of direct and loving interactions with each child in those first weeks and months of life. It is hard to find a more loving interaction than breastfeeding a baby. 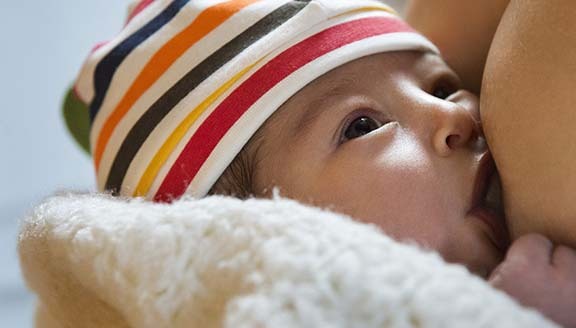 We now know that the first hundred days of life are when very important epigenetic processes are engaged for all children that help determine the brain structure of each child. The brain structure of each baby is built and strengthened with direct parent interaction in those first days, weeks and months of life. Breastfeeding creates the perfect contact and the perfect connection between mother and baby to do that important strengthening of the baby brain in those first days, weeks and months of life for each child. That new science about early brain structuring tells us that we should all work very hard to support and encourage any new mother who wants to breastfeed her child. We should directly and clearly encourage it—and we should enable it and support it in any way that we can. There are clear long term benefits for all of society when we make that opportunity happen for our children. No one knew about those full sets of developmental benefits. Now that we know them, it would be foolish not to use that knowledge to help our overall society in important ways. The research is powerful and extremely useful. An important study in Brazil—one that has been supplemented and supported by other new science in the US—shows us that there are extremely positive long term effects that can stem from breastfeeding children. Several studies have reinforced those advantages in multiple ways. So this website wants to both encourage and support Mothers breastfeeding their children. There are some great support tools available and this website is intended to help connect mothers with some of those tools. The Mayo Clinic and Parents.com both have excellent advice and coaching for mothers about breastfeeding. Our website also has links to several excellent videos about helping mothers breastfeed their children. Those support videos for new mothers are in both Spanish and English. Look for help to make this process easier. The WIC program in every community has some really good programs to encourage breastfeeding. Contact your local WIC program for advice and support in that process. Most hospitals that deliver babies in this country today try to give good advice and direct support to new mothers for immediately breastfeeding their child. Use the hospital coaches and the hospital support teams and ask for help if the hospital doesn’t volunteer that information or support..
We need to use those resources and any others that exist to help each mother, because breastfeeding has huge benefits for a child and can do great things at multiple levels for a child. Breastfeeding a child can be a challenge—and it can be difficult to make it easy to do in many settings—but babies thrive when it can be done and having a baby thrive can make it all worth while. Even a short time of breastfeeding has positive impact on children—and it makes the needed connections in the first months of life easier to do. The case for breastfeeding has never been stronger and it gets even stronger every day. The Guardian – A Brazilian study of 6,000 babies from all backgrounds since 1982 finds those who breastfed were more intelligent, spent longer in education and earned more. With all the benefits of breastfeeding, here are additional suggestions for you from the Mayo Clinic. This “Experienced Mommy” blogpost has curated an extensive list (backed by source material) of reasons every mom should consider when making the decision to breastfeed. 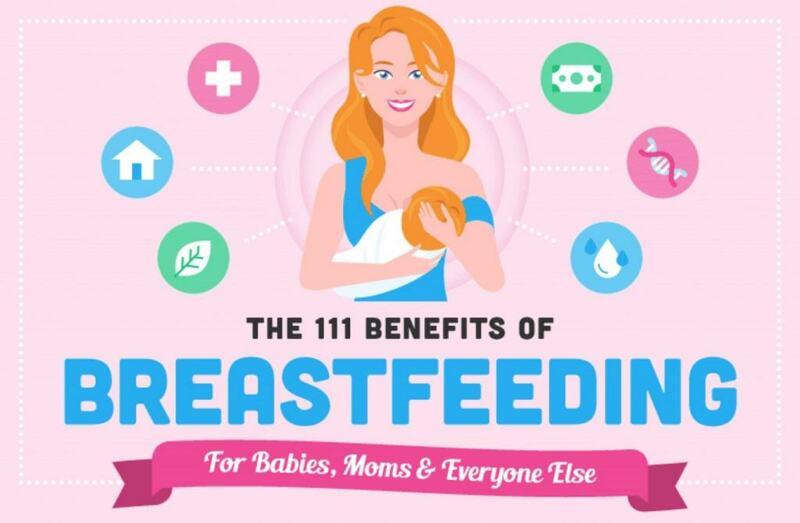 Parents.com rounds up 23 breastfeeding tips from experts that will surely help every mom make the most of this special opportunity. BellyBelly.com provides 10 super helpful breastfeeding tips. Read the full article here. Are you on the fence about breastfeeding? See momlovesbest.com’s infographic here.